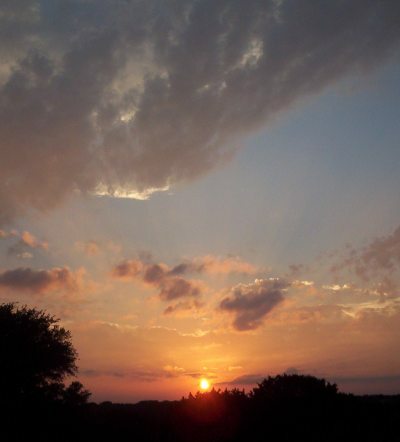 These were taken in west Texas while traveling to El Paso to defend my masters thesis. 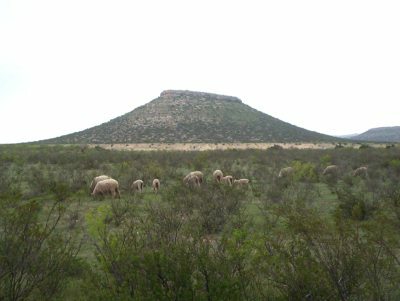 Sheep grazing in front of a mesa. 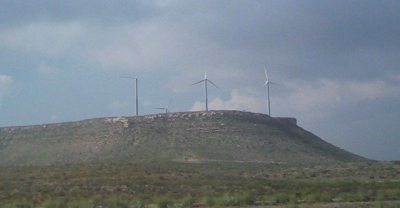 Wind turbines in west Texas. 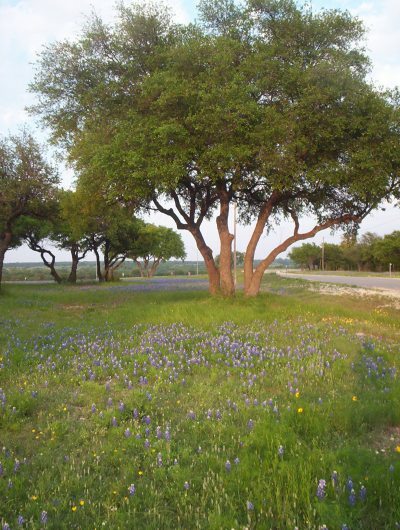 Bluebonnets at a Texas rest stop. 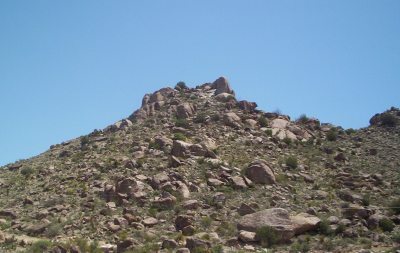 One of many rocky rises. 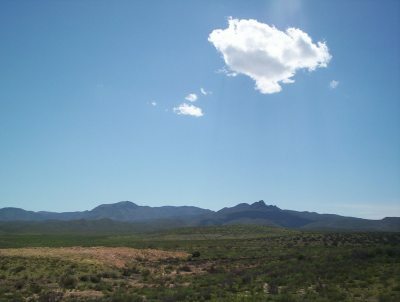 A cloud and its shadow on Texas mountains. © 2004-2005, 2011 by Wm. Robert Johnston.